Twin Rivers Unified School Board member Cortez Quinn was arrested Tuesday night on multiple felony counts including concealing evidence by submitting a false DNA test to deny the paternity of a child he fathered with a school employee. Five misdemeanor counts related to improper receipt of loans and gifts. According to prosecutors, Quinn developed a personal relationship with a performing and visual arts director at the school district and received gifts and loans from the employee while on the board. The gifts totaled $4,000 and the loans totaled more than $50,000. It is illegal for board members to borrow money from district employees, and Quinn allegedly failed to report these loans and gifts. 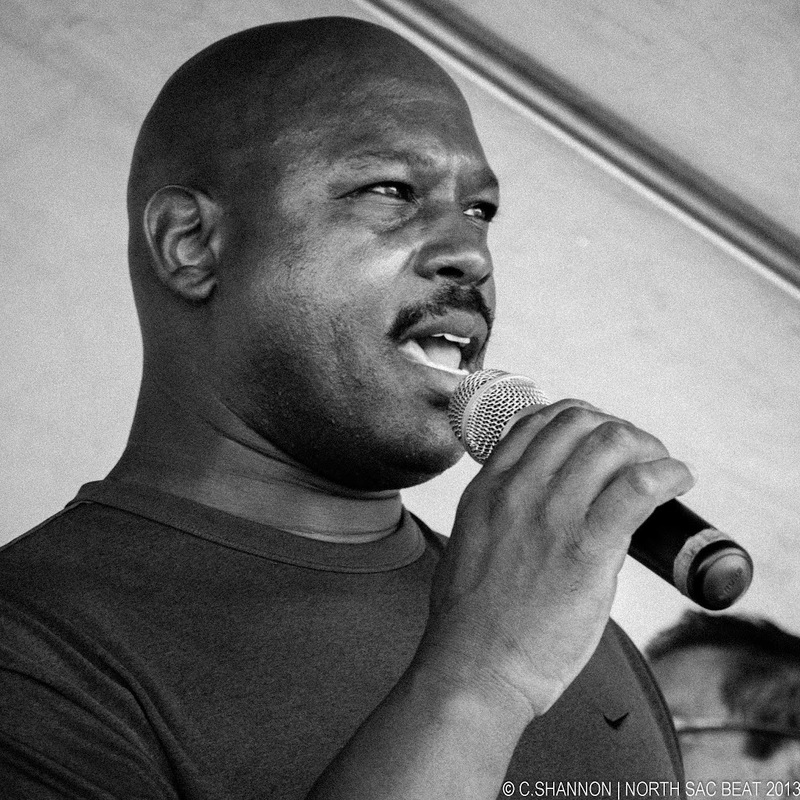 Cortez Quinn speaks at Celebrate Natomas 2013. Quinn’s relationship with the school employee resulted in her pregnancy and the birth of her son in December 2011. The employee filed a paternity action and Quinn was summoned by a court to submit a DNA test. Before submitting, Quinn allegedly conspired with Andre Antoine Pearson, 36, who worked at Comprehensive Medical Inc., to use DNA from a third party in place of Quinn’s DNA. The school district employee insisted she had not had sexual relations with anyone other than Quinn before the birth of her child, but was denied a DNA retest. In August, a Sacramento Count District Attorney’s Office criminal investigator recovered paper towels discarded by Quinn in a public restroom at the Twin Rivers Unified School District headquarters during a board meeting. It was found the DNA on the paper towel did not match the DNA Quinn presented for the paternity case. Quinn was booked into the Sacramento County Jail at about 11:30 p.m. last night. He has been released on $25,000 bail. Pearson was booked by the Sacramento County Sheriff’s Department at about 9:30 a.m. He is being held on $15,000 bail. If convicted, Quinn faces a maximum of 12 years imprisonment on the felony offenses and an additional six months in the county jail for each misdemeanor. Quinn was re-elected to the Twin Rivers Unified School Board one year ago. He serves Area Five (Robla and Natomas).